If you're like millions of others, you probably don't drink your tap water. But how much attention do you pay to your indoor air quality (IAQ)? The U.S. EPA reports that the IAQ in many homes ranks among the five most serious environmental hazards people face, likely far worse than anything found in the public water supply. The most common sources of indoor air pollution include dust mite waste, volatile organic compounds (VOCs), mold spores, smoke, and pet dander. All of these are also the most common allergy and asthma triggers. VOCs and mold can have mild to serious effects on your health. VOCs come from many common household cleaning products, paint, new flooring and furniture, anything perfumed, and as fumes from appliances that use gas or propane. Besides the VOCs, improperly adjusted gas appliances can emit deadly carbon monoxide (CO) into your home's air. The first step to improving your indoor air quality is to have it tested. Specialists like Clean Air Solutions place monitors inside your home, and over the course of a few days, these instruments measure the chemicals and particulates in the air. It's a safe and accurate way to determine what irritants and harmful pollutants could be in your air. Most people spend up to 90 percent of their time indoors and breathe an average of 20,000 times a day. While your body can filter some of the airborne particulates before you inhale them into your lungs, it has no defense against CO, VOCs, and the smallest particles of dust, dust mite waste, and mold spores. Over time, all the chemical and particulate pollutants build up in your body and have the potential to trigger serious health problems, including cancer, neurological damage, and organ failure. Once you know what's in the air, you can take steps to improve it. Improving ventilation, deep-cleaning mattresses, upholstered furniture, and carpets, and eliminating the sources of pollutants and VOCs will improve the indoor air quality in your home. While a tighter home improves energy efficiency and keeps cooling and heating costs lower, it does build indoor pollutants and may need controlled ventilation for better IAQ. Heat recovery ventilators (HRVs) are the most efficient way of improving ventilation year-round. These devices remove stale indoor air and replace it with an equal amount of fresh air and, because of the way they run, also keep heating and cooling bills lower. Some aspects of deep cleaning are easily completed, like laundering washable rugs and window coverings, while others may require specialists who can tackle carpets, furniture, and even bed mattresses. Depending on their age, mattresses can contain 2 million dust mites, kilograms of sweat, skin oil, and fungal spores. Getting and keeping them clean will reduce the population of these indoor air pollutants. Fortunately, it's fairly easy to cut down on the amount of VOCs in your home's air. Avoid air fresheners, perfumed soaps, dryer sheets, and cleaning products. Opt instead for natural cleaners, like vinegar, baking soda, and salt. 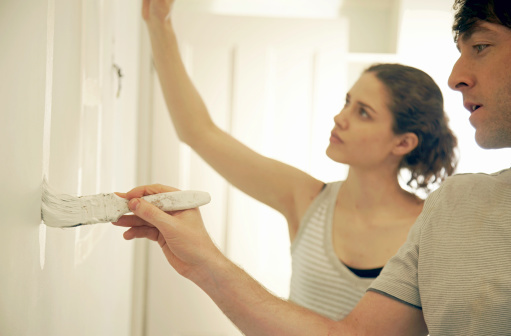 When choosing home improvement products, look for a clean air label or one that states it's low in VOCs. Select a dry cleaner that uses environmentally safe cleaning methods. If you'd like more information about learning what's in your air and improving indoor air quality, contact Clean Air Solutions to schedule testing today.